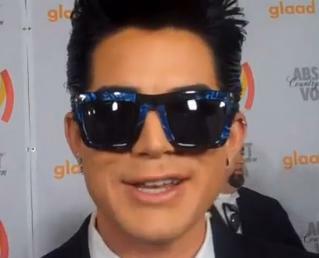 Singer, Adam Lambert was in Los Angeles on Saturday night attending the 2010 GLAAD Media Awards. Lambert chatted with The Dish Rag (see video below) about how things are changing for gays in show business and being an openly gay artist. He even gave some advice to the current American Idol contestants. List of 21st Annual GLAAD Media Awards.